France’s General de Gaulle once said that the only thing that would unite Europe would be China. At the time he was probably visionary in the knowledge that the Europeans would never unite. There was too much rivalry and there always has been. The British and the French have always been at odds and the French have always been jealously wary of the German’s capacity to work harder than they can and to show the full fruit of their industriousness. The Germans have always secretly known that they are the best and looked down upon the then agriculturally-oriented (and therefore worthless, in their eyes) countries like Italy, Spain and Portugal. He certainly got one other thing correct when he said that it would be the Chinese. Europeans would only unite when the Chinese forced them to. China has become not only demographically the leading country of the world, but they have become economically the country to invest in and commercially number one. That’s all cause for concern. They have taken over from Japan as the Land of the Rising Sun. The sun set a long time ago on that Empire and we don’t even need to mention the failures of the US system that have resulted in its decline. The good thing about the Chinese is that they have no qualms about despising democracy and espousing dictatorship. The West just makes a show of brash support for the former and public outcry at the latter. Then, it does exactly as it chooses, flouting what it dictates to be democratic. The West dictates democracy while the Chinese plod on solemnly on their Long March towards success. China is already the number one trading nation of the world and has been since 2012. The West will be left in the dark begging for the lights to come back on soon as they realize that China has not only become the world leader in yet something else, namely solar-panels, but also that the West has been pointing their own solar panels in the wrong direction now for years. A new study that was carried out in the US has suddenly discovered that the solar panels that have been installed around the world and that all face South are in actual fact facing the wrong direction. According to the study carried out by the Pecan Street Research Institute if the panels face West, they increase electricity production by 49% during peak demand. Europe and the West will be going back to lighting candles that they will probably end up buying also from the Chinese in the next few years. How is it conceivable to imagine that those that are paid to do research might not have actually carried out tests to see in which direction the solar panels should have been facing? 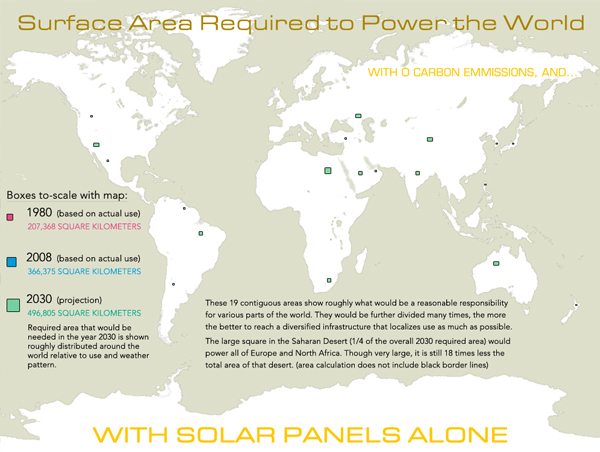 By using solar panels the world could be powered with relatively little surface area covered today by their installation. It would take about the surface area of Spain to do so or just over 190, 000 square miles. Today however the US only generates 0.17% of its power from photovoltaic sources, generating 6.9 million megawatt-hours of electricity. Solar energy has increased in the USA and in 2007 it increased by 17%. There are some that believe that it could grow to an estimated 10% of energy needs of the USA within the next decade. The US accounts for 10% of the world’s market share of installations and its own electric capacity from solar power increased by 76% between 2011 and 2012. The Federal government believes that it is a viable source of energy and just powering the US would only use 0.5% of the available energy that the sun has, according to experts. There is a current investment of $968 million via federal subsidies to the solar-power industry in the US. China is set to become the world’s leader in all renewable energy sources. Not only will they have the world economically-speaking but they will have the world in terms of controlling their energy supply. 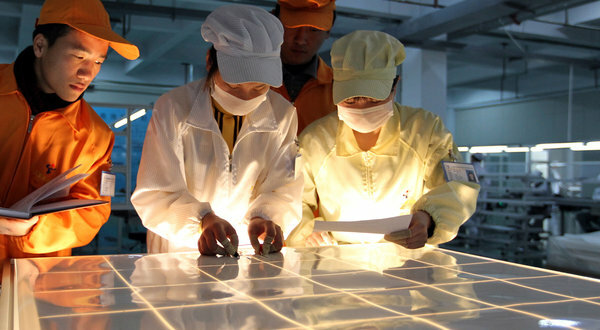 China plans to produce 21 gigawatts by 2015 from solar power. 80% of electricity comes from coal today in China and the recent problems with air pollution that have plagued major cities are set to be a thing of the past. China has become the world’s largest producer of solar panels in the world and they have managed to do so in just two years (with 30% of the solar-panel market today). Research (Harvard and Tsinghua Universities) shows that all electricity demand could be met by renewable sources within the next fifteen years for the country. Let’s hope they manage to get the panels facing in the right direction!